Tibetan Music Preservation (TMP) aims to preserve and promote Tibetan traditional music through authentic recording, distribution, performance and interaction. 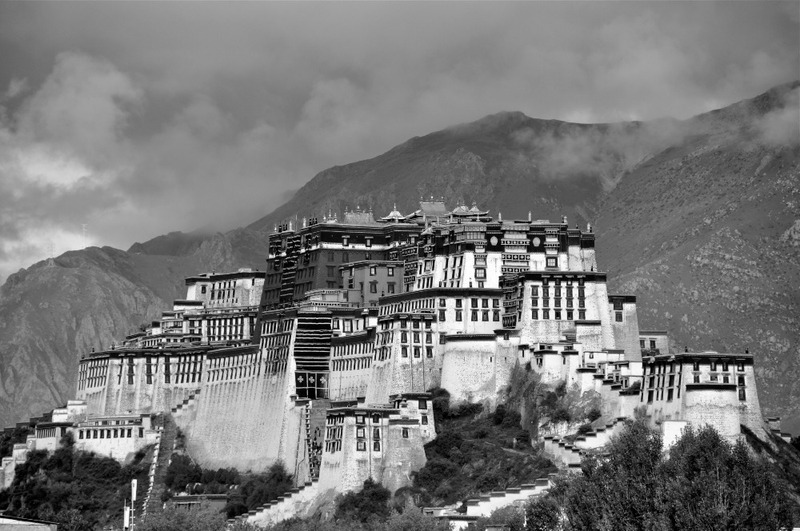 More importantly, the TMP will build an archive of audio recordings of Nangma and Toeshey songs, which are two classical music traditions from Tibet, particularly Lhasa, the capital city of Tibet. The project will be undertaken by Tibetan musician Techung who will put his own stamp on this vanishing traditional classical songs from Tibet. The audio archive and collection of lyrics will be made available to researchers as well as general public free of charge. Tibet is often called the Ocean of Songs. 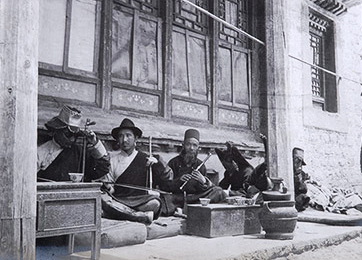 Since time immemorial, Tibetans have been singing and playing music as part of their lives. One can perhaps argue that nowhere else in the world the music is so intrinsically linked to daily lives as in Tibet. Over the centuries, particularly after the invention of Tibetan scripts in the seventh century, the musical traditions became more standardized both in terms of composing lyrics and recording oral musical traditions that have been part of Tibetan civilization. Genre of traditional Tibetan music called Nangma and Toeshey became widely popular in the sixteenth and seventeenth century in central Tibet with formation of Nangma kyiduk or groups. In the aftermath of China’s occupation of Tibet in the 1950s, like all other aspects of Tibetan culture and way of life, Tibet’s musical tradition suffered greatly. The Communist China has either banned or appropriated Tibetan music to serve as propaganda tools. As a result in today’s Tibet, the root to authentic Tibetan musical tradition is lost, and a new generation of Tibetans grow up who are denied any knowledge of their musical heritage. In exile, under the leadership of His Holiness the Dalai Lama, the cultural institutions like the Tibetan Institute of Performing Arts (TIPA) have preserved and promoted Tibet’s musical traditions to a great extent. However, as the older generation of Tibetans who have intimate knowledge on Nangama and Toeshey are passing away, including my teachers Lutsa la and Garpon Pasang Dhondup who passed away in the '90, time is running out on us. This is one of the reasons why, at this point in Tibetan history, it is crucially important and necessary for me to conduct research, collect as many Nangma and Toeshey songs as I possibly can and leave my version for future generations. Although I’ve conceived this project seven years ago and with a kind support from few friends/donors, I have professionally recorded ten songs (available online at https://soundcloud.com/techung) but the project hangs in the air. With this GoFund Me campaign, I will be able to accomplish my goal to record thirty endangered traditional classical songs in 2017-2018. 1) A catalog containing 70 Nangmas and Toeshey songs. 2) A comprehensive website and multiple copies of the Master recordings either CDs or digital copies containing 30 songs with lyrics (both in Tibetan and English translations) will be available to scholars, researchers and the general public at free of cost. 3) Launch event and live performance at the Radio Free Asia in Washington DC along with guest musicians. The event will have a live streaming. An average of USD$650.00 covers the whole expense of producing one song, including research, translations, recording, mixing and mastering in a professional studio, logistic expenses, website design and monthly updates in social media. Your kind support will allow me and my team to accomplish our dream to preserve and bring alive a genre of Tibetan music that will otherwise disappear into the dustbin of history. Wishing you a Happy Holidays. I would like to share with you a great news. I got selected as a Traditional Arts Fellow of the New York Foundation for the Arts and the New York State Council on the Arts 2018. This is such an honor for me and all traditional artists. THANK YOU NYSCA/NYFA for this award. Probably the first Tibetan American to receive this honor on this category and the first in Essex County, NY. Enjoy the song and have a wonderful weekend. First of all wishing you all a belated Happy Losar or Tibetan New Year. My wife and I were in Dharamsala to celebrate with my mother. After we returned from Dharamsala, I performed in New York city at the Carnegie Hall with Philip Glass and other artists in Tibet Houses annual benefit concert on March 3rd. The song we performed together is part of Tibetan Music Preservation project. The song is called Gampa Lamo or Gampa Pass. Enjoy this short video. Thank you Tendor Dorjee for sharing our campaign Tendor la says: "If someone asked me to name three people who've made the biggest contribution to the preservation of traditional Tibetan music over the last three decades, the first name that would come to me is Jhola Techung, who has enchanted listeners with his unforgettable melodies, soaring vocals, and moving lyrics. Now Techung la is starting the Tibetan Music Preservation Project to "preserve and promote Tibetan traditional music through authentic recording, distribution, performance and interaction." At a time when our airwaves are infested with karaoke pop and the Tibetan music scene is struggling to find its soul, this project is unique in its calling, vision and purpose, and fully deserving of our support. Please support and share." Thank you Tibet House US for sharing my crowdfunding project. Receive a thank-you note and my song "Snow Lion of Peace" on mp3 via email. Receive above gifts and my album "Yarlung-Tibetan Songs of Love and Freedom" on mp3 via email. Receive the above reward, Nyingtop-Courage T-shirt and five-hour Dramnyen, Tibetan Lute or Piwang, violin lessons online. Receive the above reward, half an hour live online concert of Tibetan music by Techung. Receive the above reward and one hour online private live concert. Techung will share songs from this project and his own compositions. Tibetan culture of ALL types must be preserved and protected. It's so great that you're continuing this important work. I hope we get to see you in the Bay Area again soon. I need the arts. They help me cope with being alive and feed my soul. The arts are the most genuine gift I can give to others. It's a strong longing or hunger for the work to be palpably present in people's lives. Thank you for making such beautiful and moving music Techung la! The Tibetan Center, Tibetan Charities, Inc. This is such a wonderful initiative. Thank you for the opportunity to be a part of it.